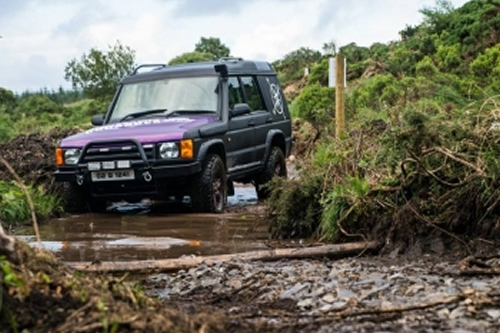 This as an activity for the thrill seeking Adrenaline junkie stag, not for the faint hearted, A unique hen activity that you won’t get everywhere, the ultimate outdoor adrenaline inducing experience; 4×4 Off Road Blindfold Driving. Thrill seekers will love this experience which takes place on a 4 Acre bespoke 4×4 Off Road track that is designed to test your nerves and your trust in your team mates. Once on site you will be divided into teams and brought to the speciality Land Rover vehicles where you will manoeuvre your way around the track, completing mind games, puzzles and our much talked about seesaw. We have an outdoor BBQ area and a BYOB facility, making it the ultimate hen activity.